This stall is supposedly famous with its own followers, and apparently has a few outlets across the country. 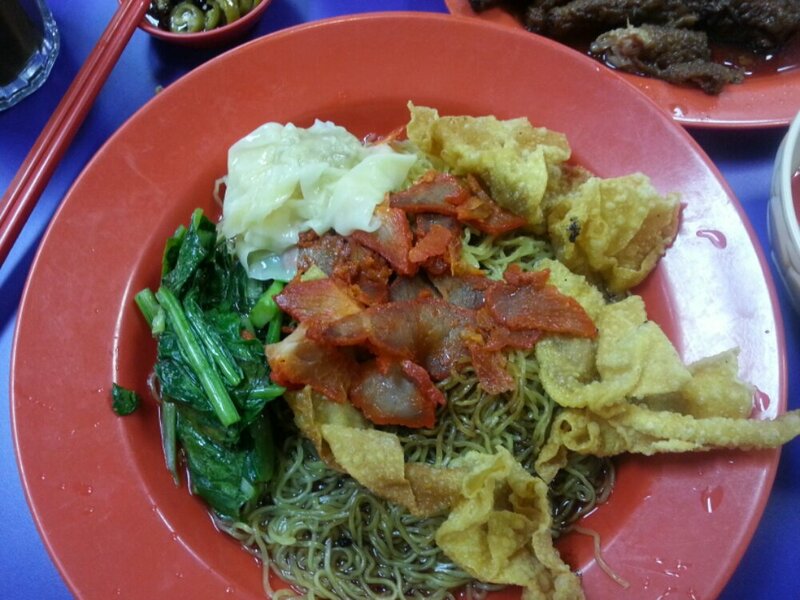 The wanton noodle is black noodle style but uses Hong Kong type of noodle (which I admit I don’t like). Frankly there’s really nothing fantastic about the noodle. Don’t get me wrong, it’s not bad, but not great that will make me go back for more. I like the fried wanton and braised chicken feet though. The former’s skin is thin but crispy, while the latter is lightly flavoured in soya sauce, just like the former Hong Mao Noodle house which I use as a benchmark.